the Menger Hotel is something you must experience. upon his death his funeral service was held inside the hotel. If you are a B&B fan, a must stay is King Williams Manor. Nestled in the center of San Antonio's popular district, this B&B is a winning historical treasure. We chose the casita for our stay which resembled a home on the frontier but has since been remodeled. The hospitable host was a delight as she created and served a lovely breakfast topped with a cup of conversation. Don't forget to enjoy some time in the remodeled pool. both a family getaway and a couples romantic hideaway. A pistol museum and wild animal statues are a must see. 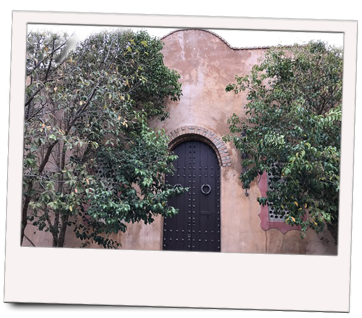 But don't forget to check out the mystical chapel with a tunnel leading to a cavern replica. A front view of the magnificent Enchanted Rock is a sight to see without waiting in its long lines. Enjoy a hearty-breakfast served mid-morning but no lunch and dinner on site. A pet-friendly resort, is also home to feline frenzy. Fredericksburg: Antiques, fine artisan crafts, and great shopping surrounds this charming city. 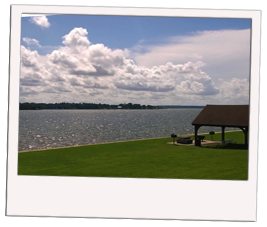 For the RVer at heart, a sure RV campground to remember while visiting is Lady Bird Johnson RV Park. Tent camping is welcomed and so are pets! Don't forget to happen-to-be-in-Fredericksburg during peach season(May-July). Find the markets along Hwy 290 between Austin and Frederickburg. Hill Country peaches are the sweetest! Check out Guest Ranches/Dude Ranches under RoadsideAttractions3 full of unique activities for the explorer in you! Where else can you find tranquility from the bluebonnet trails in the Hill Country to the mountainous canyons full of wild life in Big Bend? Or the graceful elements of the Piney Woods to the brush country of the South Texas Plains. Whether a weekend tripper or a full-time traveler, the regions of Texas are full of wonder and opportunity to explore. Accommodations can range anywhere from the bed and breakfast to private home rentals. 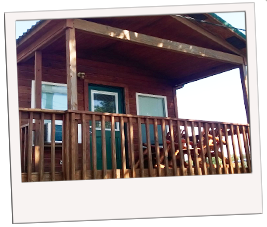 But for a campground experience, check out cabins, cottages, chalets and RV parks. 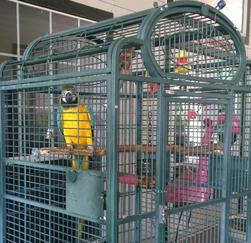 RV parks and resorts are no longer just for "Snowbirds". 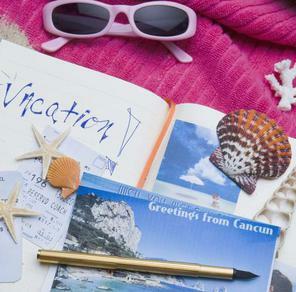 Many trendy amenities, are now equipped for just about any traveler. Equipped to be home away from home, these destinations including cabins, casitas, shuttle service to nearby attractions, golf courses, and even spectacular views. We are hitting the roads to find the best campground resorts! 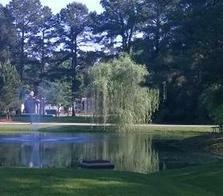 Rayford Crossing RV Resort. A serene luxury rv park nestled on wooded acreage of Spring, Texas. A quiet campground that includes RV hookups, cabin rentals, a clean, sparkling, blue-water pool, a pet walk-about, a lounging and picnic area, and a stocked fishing pond! 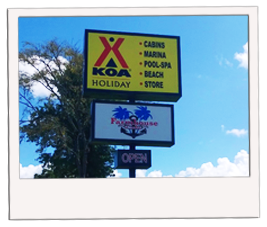 Texas offers a variety of lodging options but everyone can agree that the best stay has returning patrons. 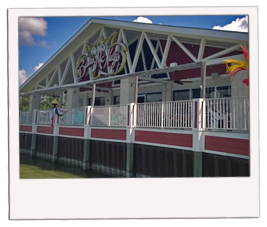 We have the scoop on the best service, amenities, and nearby attractions. 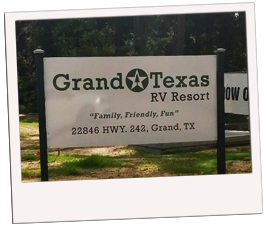 Grand Texas RV Resort. FM 242 between 1-45 and Hwy 59. When in Texas, this resort is a must-experience because Grand Texas Theme Park opening Summer 2017, an amusement park with so much fun to-do! On your mark! Get set! Start booking! Northshore Resort, Onalaska, Tx. Off Hwy 190. 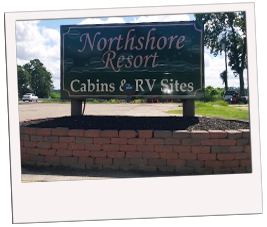 Cabins, RV slots, friendly staff , a sparkling pool, and a boat is all you need to enjoy a nice camp ground right off the lake. KOA Campground Onalaska, Tx. Off Hwy 190. 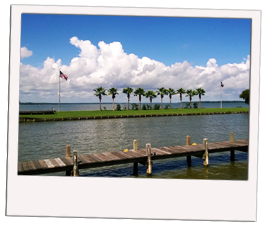 Its always a pleasure to stay at a KOA but even more fun-filling when on Lake Livingston.